Every second Tuesday in August there is a happening in Long Lake, NY. In case you are in town and not paying attention, a large circus-like tent goes up in the center of town just before the event occurs. That is the first sign that the happening, Author’s Night, will soon be coming to Hoss’s. So what is Author’s Night and who is Hoss? And what does this have to do with guideboats? 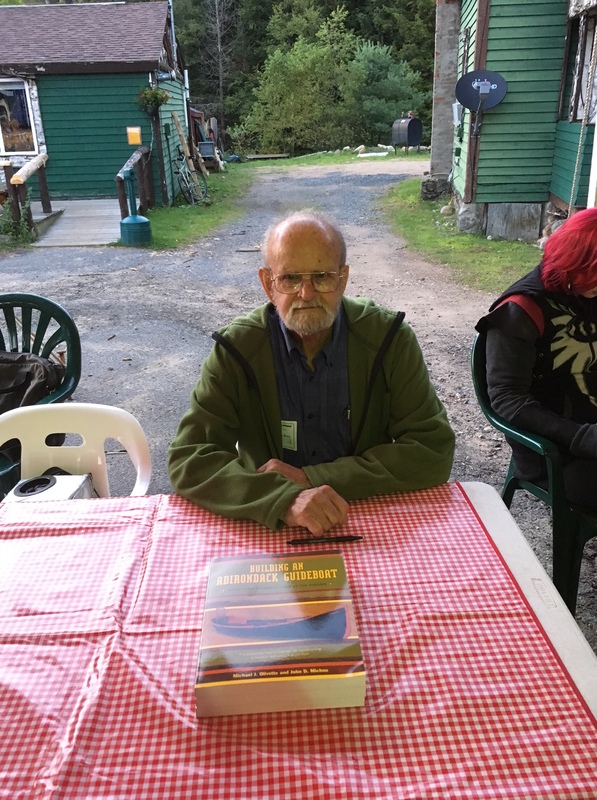 Author’s Night gathers as many of those who have written books (or songs) about the Adirondacks who wish to attend. Some of the writers live within the Park but that is not a requirement. Author’s Night started out small, maybe a dozen authors, but has grown until this year over 90 came. 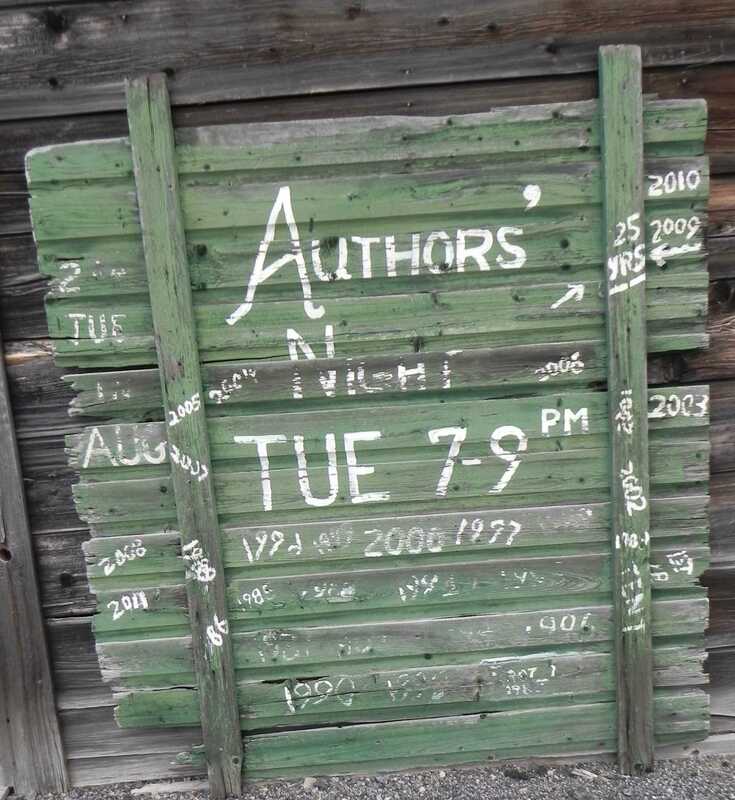 Below is the original sign used to publicize Author’s Night. Note that in 2009 Author’s Night was 25 years old. So that makes this the 33rd year of Author’s Night. The Hosley’s, John and Lorrie, own Hoss’s Country Corner in the center of Long Lake. 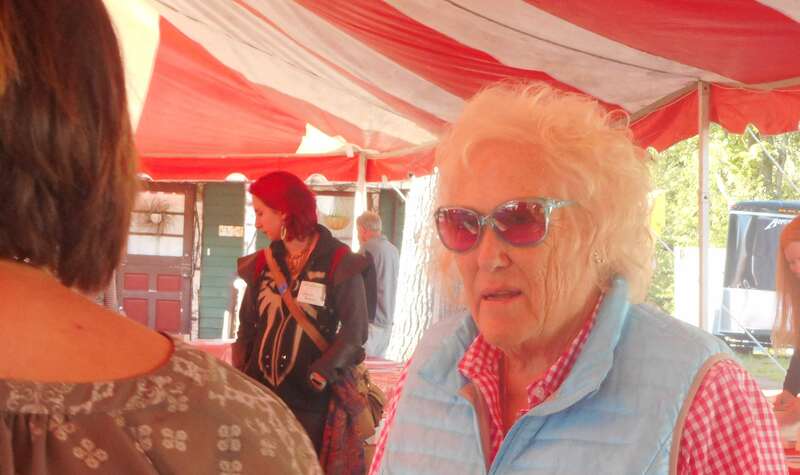 Now, the Hosley family has been in Long Lake for at least two generations. John’s father was Doc Hosley who was the physician in Long Lake for many years. The new medical center in Long Lake is named after Doc and his wife Janet. Hoss’s Country Corner is a general store that sells just about everything. As you might expect, since they sponsor Author’s Night, they have a great collection of Adirondack-themed books. Here is Hoss’s Country Corner. I am always amused by the bear out front. 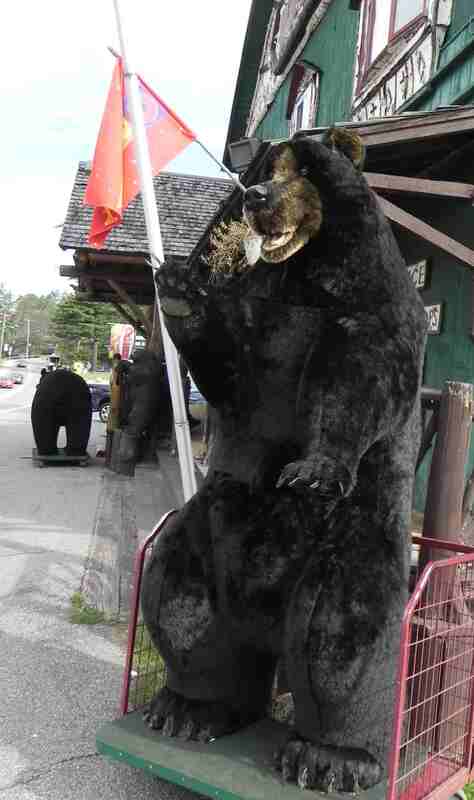 Bears are Long Lake’s official logo so it is fitting to have two of them out in front of the store. 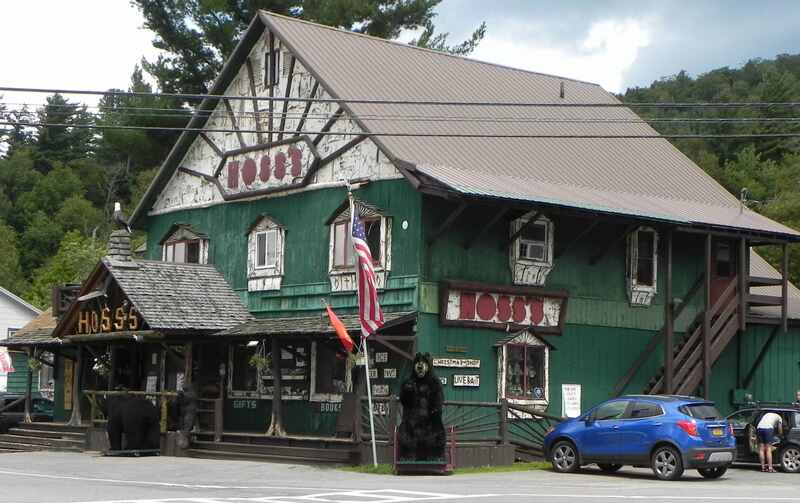 Bear in front of Hoss’s. The bear is rolled in at night. The Author’s Night hosts, John and Lorrie are most gracious. 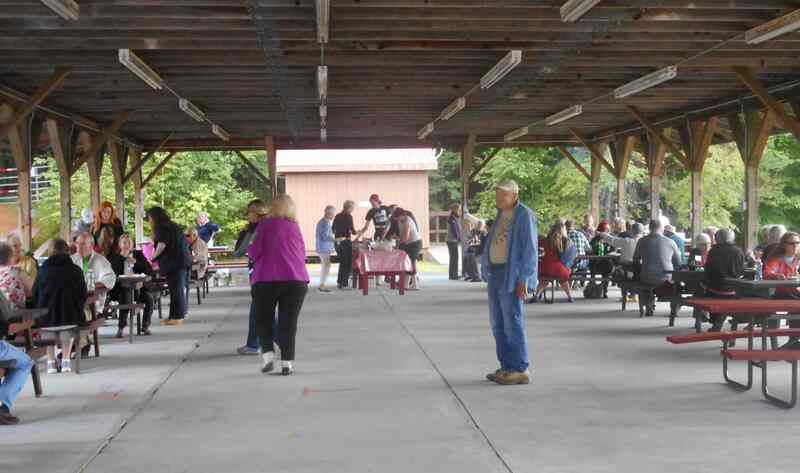 All authors in attendance are treated to a sumptuous BBQ dinner beforehand at Long Lake’s Mount Sabbatis pavilion. Author’s have a meal before the start of Author’s Night. 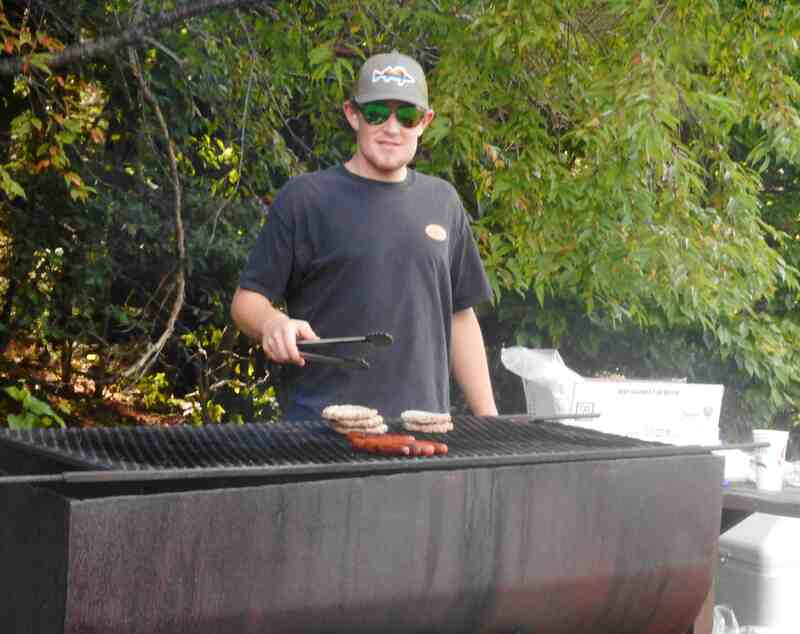 Cooking burgers for the authors. The overlook from Mt. 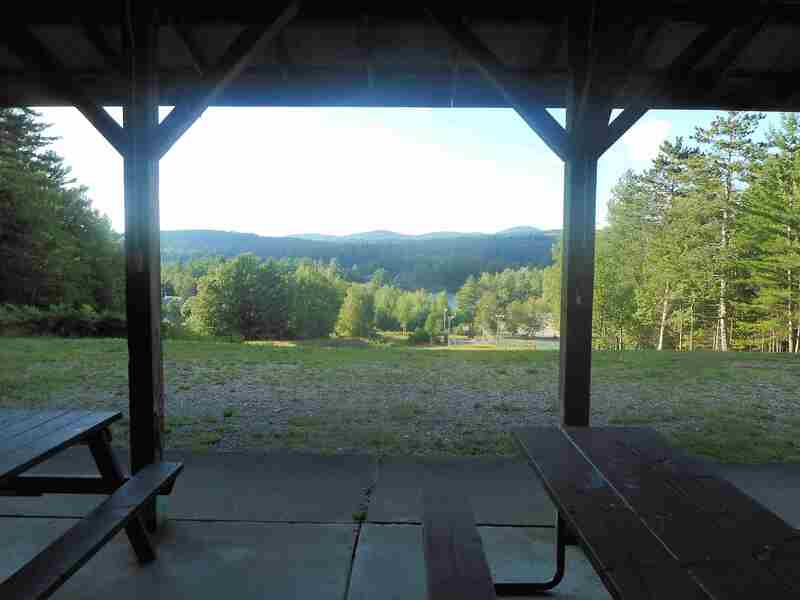 Sabattis gives a stunning view of Long Lake and the North Country. View from the Mt. Sabattus pavilion. Mount Sabattis was named after a Native America guide who lived in Long Lake and who endeared himself to the early settlers there. Here are the Author’s Night sponsors, John and Lorrie. All right, lets get back to Author’s Night (AN). 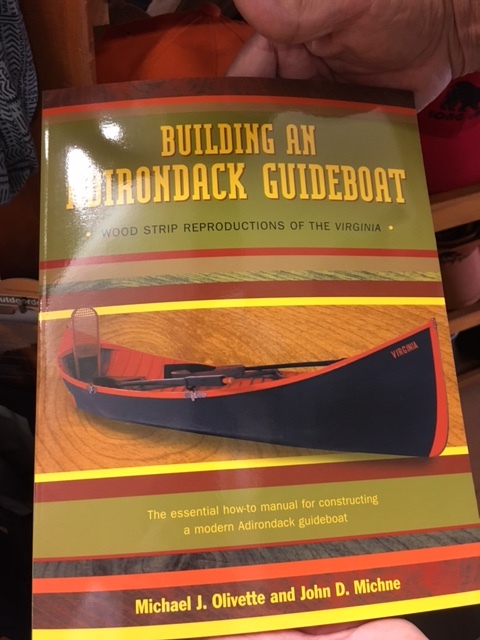 Since I have written two books on the Adirondacks; Tale of an Historic Adirondack Guideboat and how to Build One and Guideboat Paddles, an Adirondack Treasure, I have attended AN for at least ten years. 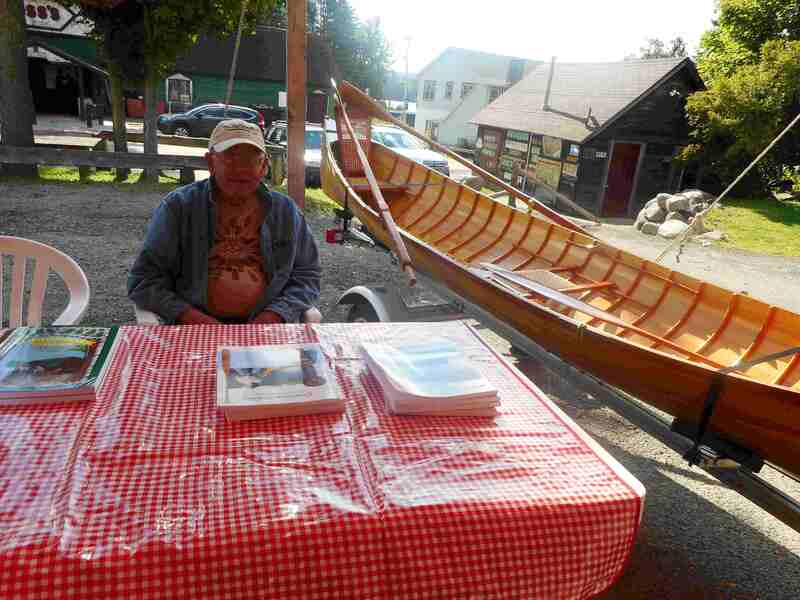 I love to attend AN because it gives me a chance to show off my guideboat, Showboat. Many who attend AN are unaware of guideboats and enjoy learning the rich history that evolved around them. At one time Long Lake was at the very heart of guideboat production. 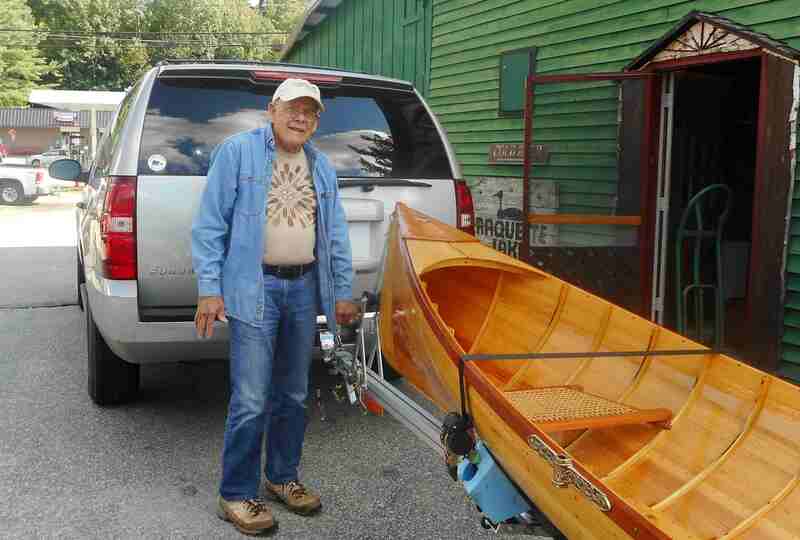 It may have even been where the first Adirondack guideboat was built. So I load Showboat on its trailer and we head for Hoss’s. Here we are arriving there. Showboat arrives at Hoss’s for Author’s Night. Authors are given a spot under the tent so that they can greet the guests and talk about their offerings. Fortunately my spot is at the end of the row of tables so I can pull Showboat up next to the table. All set for Author’s Night. Every year I get to meet some old friends. One of them is John Michne who authored a book on building the Virginia, a guideboat originally built by the Grants of Old Forge, NY. John’s book complements mine since it presents an alternate guideboat building technique, wood strip, from mine on the traditional method. Here is John at his table. John Michne at Author’s Night. 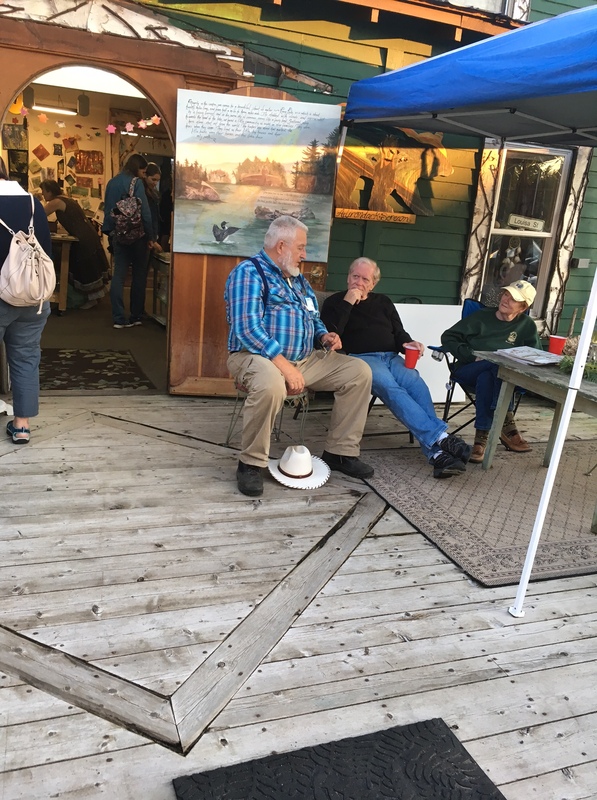 A good crowd attended Author’s Night this year no doubt drawn by the festive atmosphere and the beautiful Adirondack summer evening.